As my readers know, one of my favorite things in my house is my hot pink chair. It took me a few hours and several boxes of RIT dye to change a white velvet slipcover from this old (ie: no longer available) PB Teen chair into the fuchsia beauty it is now. You can read all the details about the DIY dye job here. 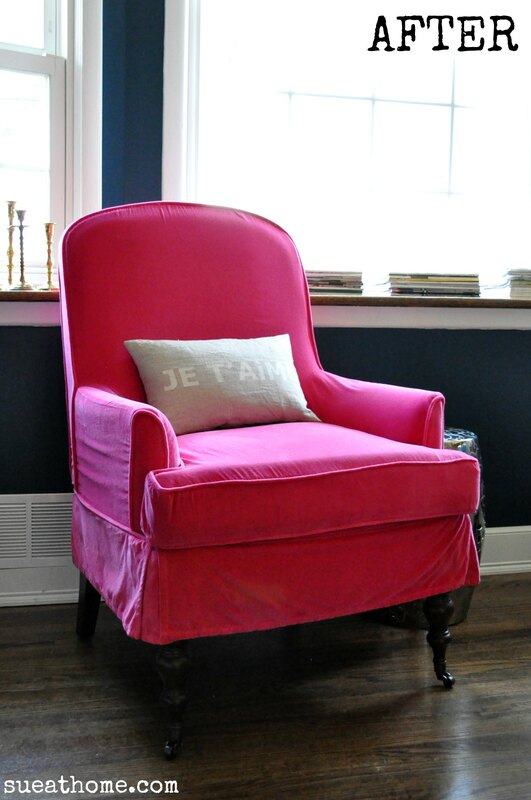 I have a feeling other people like pink chairs too because the DIY pink chair post has become one of my most read. And now I’m a trend setter because OBVIOUSLY this new pinky from Cost Plus World Market is inspired by my chair. I’m kidding, of course. But seriously, go buy it! It’s gorgeous, has a rich color, has the same pretty legs as mine, and it’s tufted. Oh…and it’s only $229.99. So, now you get to have it without drowning in dye like I almost did. You’re welcome. I want to do this! 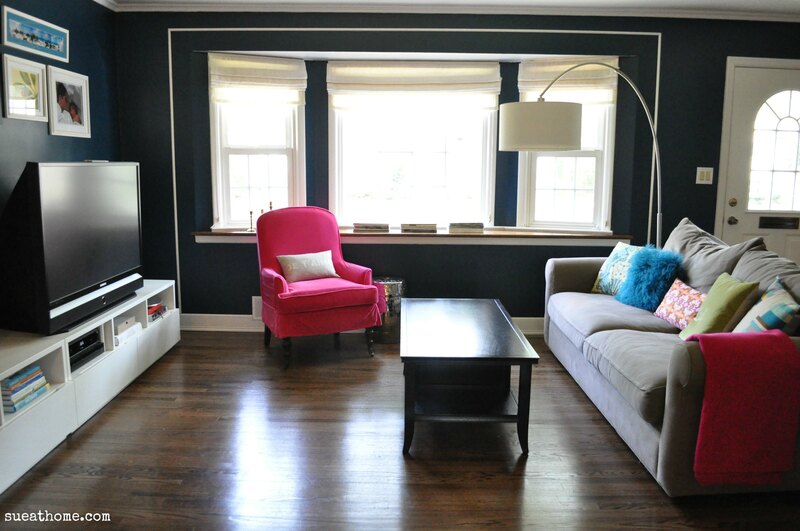 But I have two wingback chairs that I can’t find a good white slipcover for…any suggestions?